Nothing makes me feel more prepared for the next day than a good night’s sleep. Before I started using these products, I used to sleep really lightly, waking up frequently in the night. I would wake up in the morning feeling more tired than before I went to bed, which made it really hard to concentrate at work! Now that I have a better bedtime routine I’ve found that I sleep soundly for the whole night and wake up ready, and excited for the next day. It’s amazing how sleeping deeply and consistently through the night can make such a big difference to how you function the next day so I thought I would share the products and routine that work for me on here. Light is one of the things that wakes me up really easily and, as I share a flat with two other girls, I find using a sleep mask makes sure I’m not woken up if they turn the hall lights on during the night. 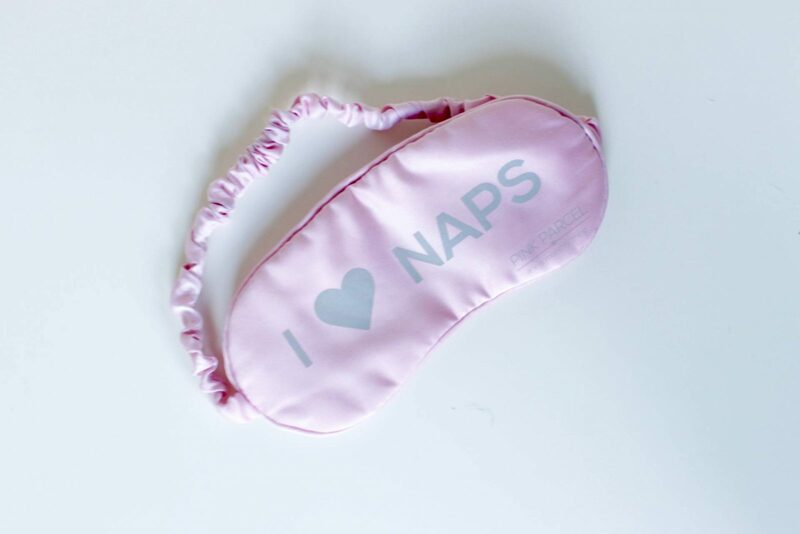 Wearing a sleep mask also helps me to drift off. It forces me to keep my eyes shut and prevents me from checking my phone – something I’m definitely guilty of doing when I’m struggling to fall asleep. There’s a couple of essential oils that help my brain to switch off and my body to relax into sleep, so I find using a balm on my pulse points just before I switch off the lights really helps me to quickly fall asleep. 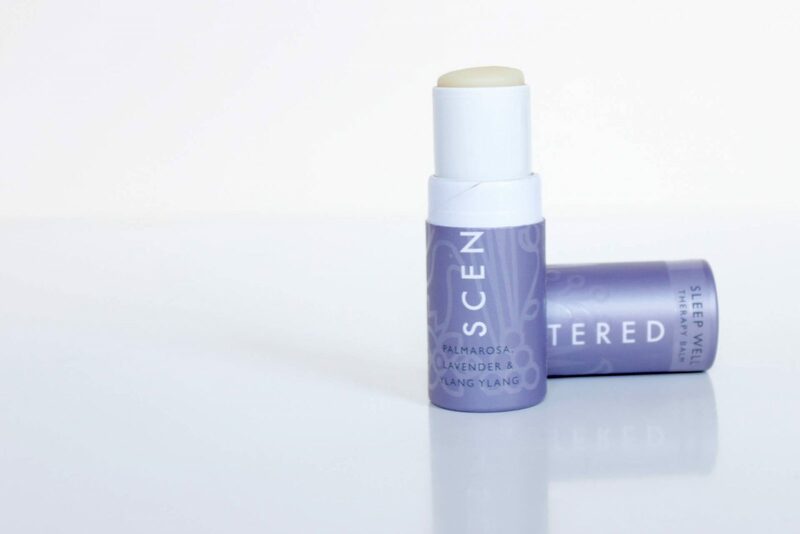 This balm* includes a mix of Palmarosa, Lavender and Ylang Ylang, all of which really help to relax me. This little stick also lasts FOREVER, I only use a small amount each time so I’m sure I’ll be making use of this for a good few more months before replacing it. If you’re going to try just one sleep product, make sure it’s this one*, it’s honestly amazing! I spritz this onto my pillows just before I get into bed and I find the blend of oils instantly calm me and help me to drift off. Using this combination of products really help me to drift off, I also make sure I don’t have any coffee after 5pm and don’t look at any screens half an hour before I’m planning to go to sleep. If you have any products and tips that help you drift off, please do let me know, I would love to try some new things! "Matching my dress to my hair"